These large raptors can live to be 70 years old! 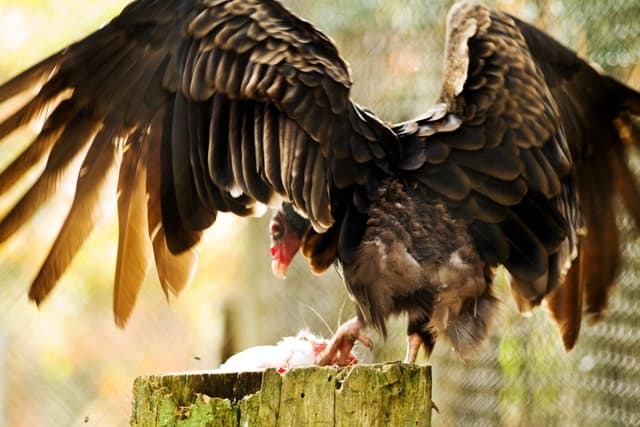 Their heads are bare of feathers because they primarily eat dead animals, called carrion. It sounds gross, but they are a part of nature’s clean up crew.